Long Grove, IL: September 24, 2014 – TZA, a leader in workforce and operational productivity solutions, announced today that F&P Mfg. Inc., an international Tier 1 automotive parts manufacturer, has selected TZA’s ProTrack Labor Management Software to enhance labor efficiency and utilization in their Tottenham, ON manufacturing facilities. “F&P Mfg. will utilize TZA’s ProTrack labor management technology combined with engineered labor standards in our Material Services department. This provides us with the tools to support associate involvement in a continuous improvement process and the visibility into productivity and utilization to identify improvement initiatives,” said Nigel Owen, Manager, Material Service Dept. for F&P Mfg. F&P Mfg. Inc., a subsidiary of Ftech Inc. in Japan, is a leading Tier 1 automotive parts manufacturer headquartered in Tottenham, Ontario. F&P’s core business is automotive metal stamping, welding, hydroforming, and assembly, producing over 58 million component parts annually. 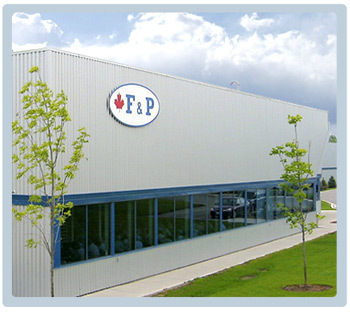 F&P is committed to continuous improvement and being at the forefront of the automotive manufacturing industry. Schedule a demonstration of ProTrack Workforce Management Software and your potential productivity gain and cost savings.